Project planning is a procedural step in project management, where required documentation is created to ensure successful project completion. Documentation includes all actions required to define, prepare, integrate and coordinate additional plans. The project plan clearly defines how the project is executed, monitored, controlled and closed. Project management is a methodical approach to planning and guiding project processes from start to finish. According to the Project Management Institute, the processes are guided through five stages: initiation, planning, executing, controlling, and closing. 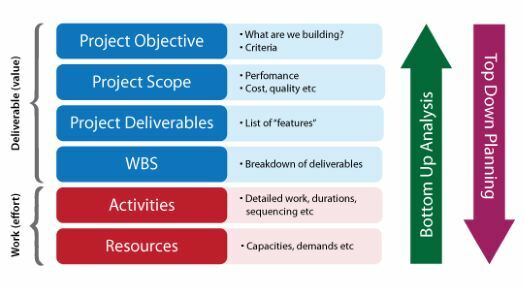 Project management can be applied to almost any type of project and is widely used to control the complex processes of software development projects. CADD SCHOOL provides the international certification for Pro/E ( Creo Elements/Pro). CADD SCHOOL is a PTC University authorised training centre. No.172,Raahat Plaza,Office No.196/197, IInd Floor, Arcot Road, Vadapalani Chennai-600026.